Sean Coughlin studied Philosophy and Classics at McGill University (B.A.) and Philosophy at the University of Western Ontario (M.A., Ph.D.). From 2009-2011, he was a Social Sciences and Humanities Research Council of Canada Doctoral Fellow and, from 2011-2013, he was an instructor in the history of philosophy at the University of Western Ontario and Huron University College in London, Ontario. He received his doctorate in November 2013 with the dissertation, “Method and Metaphor in Aristotle’s Science of Nature”. 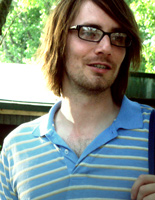 Since January 2014 Sean Coughlin has been a Post-Doctoral Fellow in research group (D-2) Mapping Body and Soul. Sean Coughlin’s research is in ancient philosophy and science, and looks at changing ideas about causation in Antiquity and how they are related to different methods and models of scientific inquiry. He focuses on the work of the Peripatetics, Aristotle and Theophrastus; on Hellenistic science; and on the work of John Philoponus and Michael of Ephesus. At Topoi, Sean is putting together a collection and English translation of fragments of Athenaeus of Attalia, the founder of the Pneumatist medical school. He is also working on two further projects related to the beginnings of the Pneumatists: one project looks at Athenaeus’ views on the causation and localization of mental events, and how those views influenced later philosophers and physicians; the other looks at Athenaeus’ understanding of the causes of disease and its antecedents among the Stoics and Peripatetics. Sean is, along with Michael Griffin (UBC) and Riin Sirkel (UVM), co-organizer of the Canadian Colloquium for Ancient Philosophy / le colloque canadien de philosophie ancienne. 9.5.2014 Participant “Thinking in the Middle Ages”.